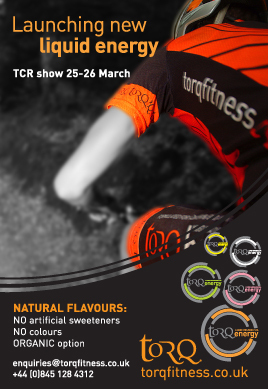 TORQ energy is a naturally flavoured high carbohydrate energy drink, containing no artificial sweeteners, colours or preservatives. 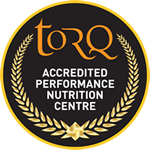 TORQ energy has been painstakingly formulated so that it delivers TORQ’s unique blend of carbohydrate and electrolytes to the working muscles through a drink that is lightly flavoured, refreshing and most importantly NATURAL. DOSE: If exercising intensely, or for prolonged periods in the heat, mix 1 level scoop of TORQ energy with every 250ml water consumed (4 level scoops per litre). This is a 6% carbohydrate mix. If using TORQ energy during lower-intensity training or in cooler conditions, you can experiment with higher concentrations. We recommend that you do not exceed a 9% carbohydrate solution (6 level scoops per litre) of this product. If you would like to run a more concentrated carbohydrate solution than this, add TORQ’s NATURAL or NATURAL ORGANIC unflavoured energy drink mix to your 9% solution. TORQ energy NATURAL and NATURAL ORGANIC are made from a pure carbohydrate glucose polymers and do not contain electrolytes or flavours. INGREDIENTS (Natural Orange): Maltodextrin, Fructose, Citric Acid, Natural Orange Flavour (3%), Electrolytes (Sodium Chloride, Calcium Lactate, Potassium Chloride, Magnesium Carbonate). INGREDIENTS (Natural Lemon): Maltodextrin, Fructose, Citric Acid, Electrolytes (Sodium Chloride, Calcium Lactate, Potassium Chloride, Magnesium Carbonate), Natural Lemon Flavour (2%).  INGREDIENTS (Natural Lime and Lemon): Maltodextrin, Fructose, Citric Acid, Electrolytes (Sodium Chloride, Calcium Lactate, Potassium Chloride, Magnesium Carbonate), Natural Lime Flavour (1%), Natural Lemon Flavour (1%). INGREDIENTS (Natural Pink Grapefruit): Maltodextrin, Fructose, Citric Acid, Electrolytes (Sodium Chloride, Calcium Lactate, Potassium Chloride, Magnesium Carbonate), Natural Grapefruit Flavour (2%). NUTRITIONAL INFORMATION (Per 100g) for all flavours: Energy 1522kJ/365kCal, Carbohydrate 91g (of which 23g sugars), Protein 0g, Fat 0g. ELECTROLYTES (mg/l) [@ 1 scoop per 250ml] for all flavours: Chloride (941), Sodium (550), Potassium (127), Calcium (50), Magnesium (11.4). Available ONLINE from Tuesday 28th March 2006.